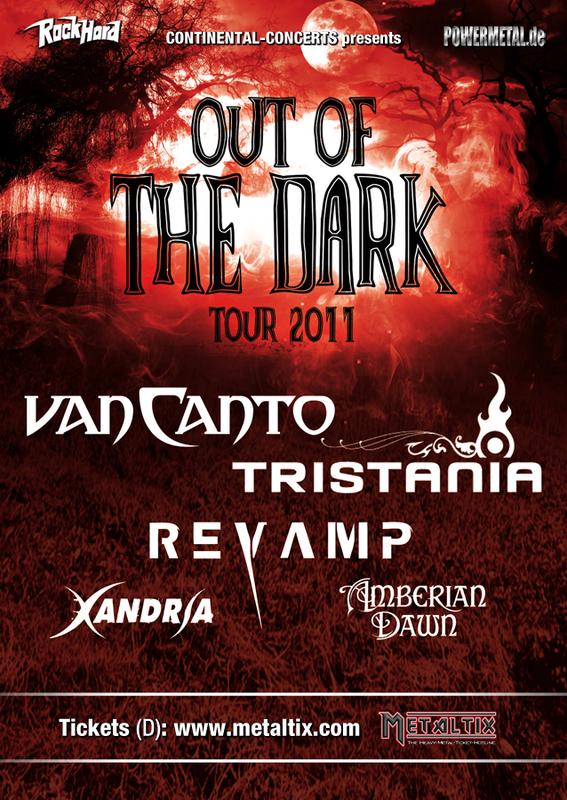 Tristania will be back on the road in Europe for the Out of the Dark Festival Tour 2011. The 14 gigs from September 30th until October 15th will include eight different countries in Europe, and the tour live package contain the following bands: Tristania; Van Canto; Revamp; Xandria and Amberian Dawn. More live shows to be announced soon. This entry was posted in News and tagged tour, tristania. Bookmark the permalink.